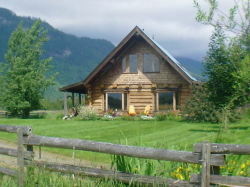 Welcome to our selection of holiday homes to rent in Canada. Canada is a vast and varied country, stretching from the Atlantic to the Pacific Ocean and north into the Arctic. Although most people think of Canada as a cold country, famous for its skiing and winter sports, in the south its summers can actually be very mild. There are two official languages in Canada, English and French, though the latter is only widely spoken in certain areas, such as Quebec. Most of the cities are located on the east coast, including the capital Ottawa, though another popular tourist destination, Vancouver, is situated in the west, near to many of the major skiing resorts. Between the coasts, much of Canada is open prairie and farmland, with few large cities or towns. One great way to explore Canada, east to west, is the train line that runs between Toronto and Vancouver, passing through some of the most stunning and unspoilt countryside on the North American continent on a journey lasting around three days. Most visitors to Canada�s east coast will head to Toronto, the country�s biggest city. Situated on the shore of Lake Ontario, the city has lots of open spaces, as well as indoor tourist attractions. The CN Tower, once the tallest building in the world at 553 metres, is still popular with visitors today, who can enjoy great views over the city and Lake Ontario until late at night. There are several museums, including the Ontario Science Centre with its hand-on exhibits, and the Toronto Zoo is another must-see for families. The spectacular Niagara Falls are within easy reach of Toronto either by road, rail or helicopter tour. The Francophone city of Montreal is another popular east coast destination and is the second-largest French speaking city after Paris. Much of Montreal�s architecture, especially in the old town, is very reminiscent of Parisian streets, though more modern areas like China Town help visitors to remember which side of the Atlantic they are on. Montreal is also known for its vibrant night life, particularly when it comes to live music and jazz. As the capital, Ottawa is home to many of Canada�s national museums and monuments, such as the National Museum of Canada and the National War Museum. The Canadian Museum of Civilization, with its thousands of aboriginal artefacts, is the most visited in the country. While the west coast is less developed than the east, the city of Vancouver is as full of skyscrapers as any US city. In fact, the quieter streets of Vancouver are often used as a replacement for New York in movies and TV shows! There are several museums in the city, including the Vancouver Museum and the Science Museum, both of which have several exhibits aimed at children. Several of Canada�s best ski resorts, such as Banff and Whistler, are located within driving distance of Vancouver, and in the winter months the city is often full of visiting and arriving winter sports enthusiasts. 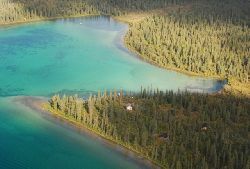 Looking for self catering holiday accommodation in Canada? Then below is a selection of apartments in Canada and holiday homes in Canada that can be rented direct from their owners. You can either click on each listing for further details or you can use our search engine on the left if you are looking for something in particular. Here you can find useful links for tourist attractions and services in Canada including links to Universal Vancouver, Niagara Falls tourist information and more.